Mystic, CT – Mystic Aquarium is once again partnering with other community organizations to empower locals to help cleanup Mystic. The third annual Mystic-Wide Clean-Up, a town-wide, large-scale debris removal event, is scheduled for Saturday, September 22, 2018 from 10:00am to 6:00pm. The event will take place at two sites throughout Mystic over an eight hour period. Participants can choose to help out at one site for just a few minutes or spend the whole day cleaning up the town. Safety and cleaning supplies will be provided by Mystic Aquarium. The cleanup sites include Coogan Blvd & Jerry Brown Road from 10:00am-12:30pm (meeting location: Mystic Aquarium’s front gate); Downtown Mystic from 12:30pm-6:00pm (meeting location: Mystic River Park) and River Road and Mystic River. Participants already include teams from Big Y, Mystic Museum of Art and Clean Up Sounds and Harbors (CUSH). 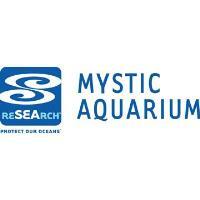 While registration is not required, groups and individuals are encouraged to join the effort by registering at http://www.mysticaquarium.org/event/mystic-wide-clean/. “In addition to cleaning up our town, we hope that this builds camaraderie, bolsters local spirit and increases public knowledge of and appreciation for Long Island Sound and its natural resources,” concluded Mateleska. The Mystic-Wide Clean-Up precedes the Aquarium’s National Estuaries Day Weekend Celebration with arts and crafts, interactive activities and a marine debris fashion show; all to help visitors learn about the amazing Long Island Sound estuary. The National Estuaries Day Weekend Celebration, scheduled from 11:00am to 3:00pm on Sunday, September 23, is free for Aquarium members and with admission.